So I’m in a bit of a food fussy mood. Having loads of headaches again because it goes hand in hand with heyfever and it’s left me food fussy. I want chocolate and sugary sweets one day then nothing next. Everything is out to since it’s spring here in Australia. The mango’s aren’t exactly cheap right now but soon they will be ripe and a good price so in the meantime it’s been apples and strawberries. On the weekend my fiance bought exactly that along with some really nice low fat greek yoghurt. If you know me, you know that I LOVE greek yoghurt. Beside all natural I love it’s tangy taste and sometimes I get the stronger more sour one to use instead of sour cream. Lately however I’ve been using it in a variety of smoothies for flavour and to thicken my shakes instead of using ice-cream but too it’s been hot so I’ve used a little ice-cream a few times. But here’s what I have made so far and sorry for no photo’s. I need new batteries for my camera. I have like a bullet blender so it’s already a cup, or large cup so I put my ingredients from the order I write all the way to the top then blend so you’ll have to add your own milk accordingly since I sadly didn’t measure it. Milk or Soy milk or Rice milk or Almond milk. So far the winning combination for me is soy or almond milk. Milk or Rice milk or Soy milk or Almond milk. Particularly nice with low fat or skim milk and very nice with soy milk. If you need sweetening I recommend honey or 1-2 teaspoons of raw natural sugar. About 1 cup or half a cup of strawberries. 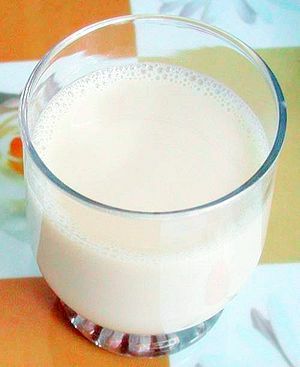 Soy milk. Other milks optional but I like it best with soy. If you need sweetening, honey. A few other things I have added to these mixes has been cardamon pods, cinnamon and vanilla bean or vanilla essence if I didn’t have the bean. Also a nice muslie mix with dried fruits and various oats on the top for topping. But I’m out of it now and need to get more. My favourites so far have been the apple mix and the green tea smoothie. Next I’m going to see what I can do with mountain tea and camomile. Painful pimples that you can’t get rid off and oily skin, but you use a product and get dried out? There’s only one home made recipe I’ve worked out that soothes, gets rid of and clears oily skin without drying you out comepletely and your face or where ever the problem area is, like back or something, feels better and smoother. Cocoa powder 1 teaspoon or half if it’s pure. 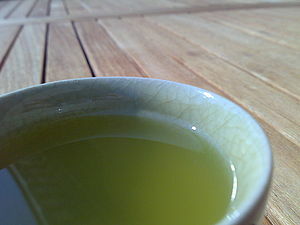 1 tea cup of boiled and ground up Sencha green tea, let sit till warm. Place all dried ingredients together and mix. Put honey in the hot tea and mix through. Let the hot tea cool down to a warm comfortable temperature. Next, mix slowly a bit at a time the tea into the dry mix until it becomes a thick yet moist paste. When it has become a paste apply and leave on either for 20minutes or until dry. This is a once a week recipe or once a month because the oats are quite drying if you do it every day. If you need more relief from painful acne then u can mix honey and cinnamon powder into a paste and use that as much as u like for soothing and healing. 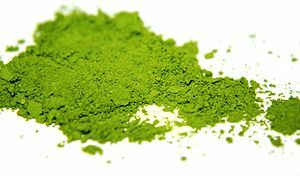 Also just green tea and oatmeal seems to be very effective for really bad pimples caused by hormones. The recipe seems to work ok on men but tends to work better on girls. I’m not sure why but out of research and finding out how most of us girls pimples come about because of menstruation and hormones, it’s probably got a big factor to do with why this works better on women.